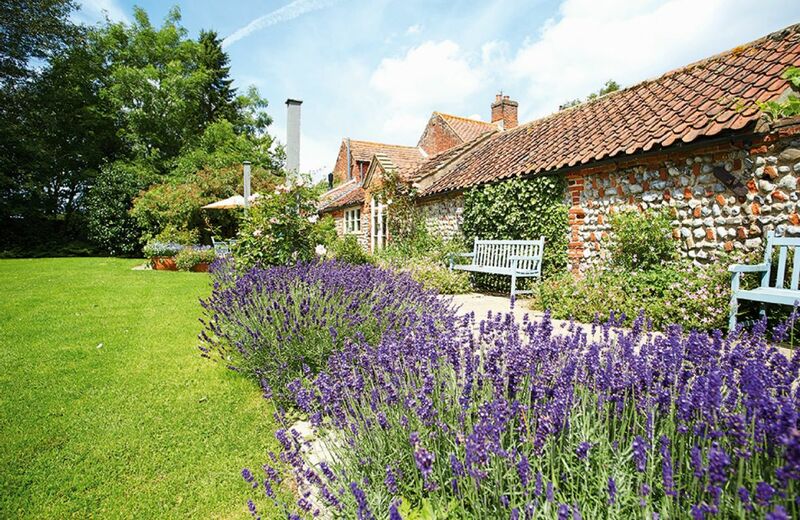 Norfolk sits with its low-lying countryside in the East of England boasting a vast, unspoilt coastline (some areas of which are also dog friendly) and seventh most popular county in the UK. 40% of the county's population live in the four main cities which are Norwich, King's Lynn, Great Yarmouth and Thetford. One of the most popular areas of Norfolk for visiting is The Broads, located on the east coast; a plethora of rivers and lakes interconnected by waterways and has the status of National Park. An ideal location for a rural retreat in a self-catering holiday cottage! Talking of great countryside, another popular area which is well worth a visit is The Waveney Valley in South Norfolk. You'll find peaceful countryside, elegant pubs and restaurants as well as meandering country lanes through which to explore. Due to Norfolks "gently undulating" landscape, walking, trekking and cycling activities are also popular. Explore Thetford Forest on cycle or walk The Broads. There are also a series of excellent pre-planned walks which are available across the county which you can also enjoy from the comfort of your holiday cottage. As well as the magical landscape of Norfolk, it's cities also offer a wide array of cultural and heritage attractions. With a history deep rooted in Roman takeover, there are castles including Norwich castle which have a mix of activities ideally suited to the whole family. Find out about the Warrior Queen Boudicca who took on the Romans centuries ago as well as the remains of the biggest elephant (well, Mammoth!) in the world unearthed at the foot of the cliffs in 1995. The coastline too is littered with prehistoric history and there are many museums and places of interest that provide all the experience you need to envelope yourself in the coastline's Dinosaur orientated interests. At Lenwade you can also enjoy the "Dinosaur Trail" completed with T-Rex and a walk amongst many other prehistoric animals on your holiday cottage. During WW1 Norfolk became a hub for aviation with many American bases being set up in the County during the Second World War. Evidence of this still stands today with an array of airfields which can be visited alongside Lynn Museum, City of Norwich Aviation Museum and RAF Bircham Heritage Museum. 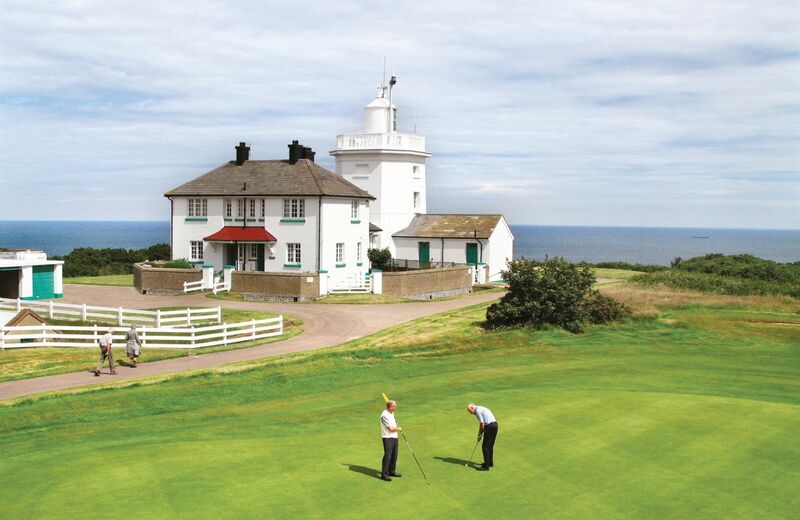 With accommodation suitable for parties of up to 10 people, our properties are ideal for groups and families alike. 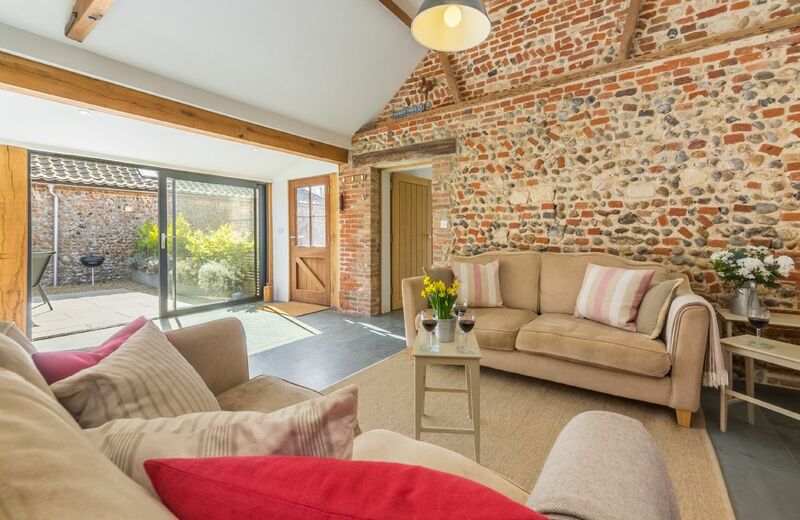 Handpicked and completely unique, our holiday cottages in Norfolk offer you a great way to relax and unwind while surrounded by the great countryside and cultural attractions. Your search returned 50 matching properties. We have stayed in the cottage before and find it lovely. We were very impressed with the cleanliness when we arrived. Everything we needed was there and we enjoyed our stay. 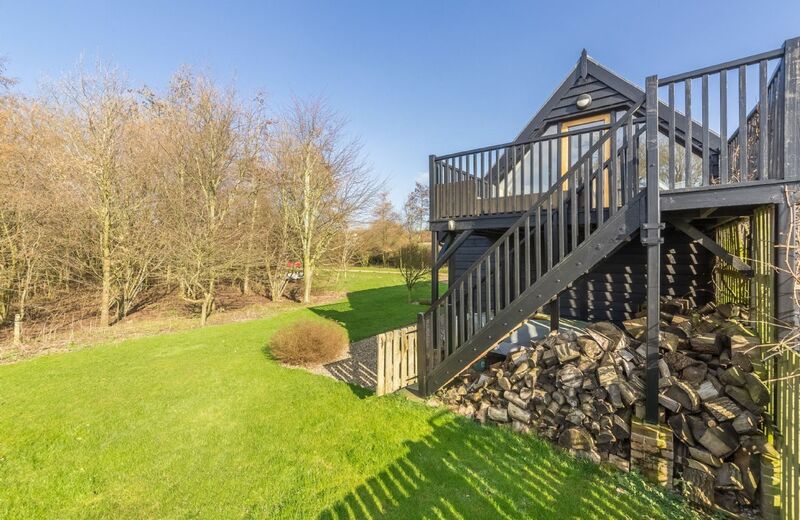 Our only comment which may affect older guests is that the cottage is a long walk from the car park, which is a challenge when shifting the usual amount of 'stuff' needed when self-catering. Nice cottage in lovely setting. Somethings not up to the usual standard we expect from Rural Retreats but have taken that up with them in person. Although the property had some 5 star equipment ,Good kitchen equipment, good brand TV , comfortable beds , modern bathroom s the property could benefit from new carpets and a new couch .a gaming chair in the present was very worn. Not a 5 star stay unfortunately. I did leave a note for the contact /cleaner. No complaints. Cottage was everything it promised to be in the brochure. Really difficult to find Apple Tree Cottage in the dark, very confusing instructions, no signage and then poor lighting so you can't see to put codes in when you do eventually find it. General cleanliness was ok but needs better attention paid to deep cleaning, i.e. lots of cobwebs in corners, ceilings etc. Housekeeper didnt respond to messages. Lastly needs a proper frying pan or two; a wok doesn't work for breakfast items. Thank you for your feedback. I am sorry you found Apple Tree Cottage difficult to find. 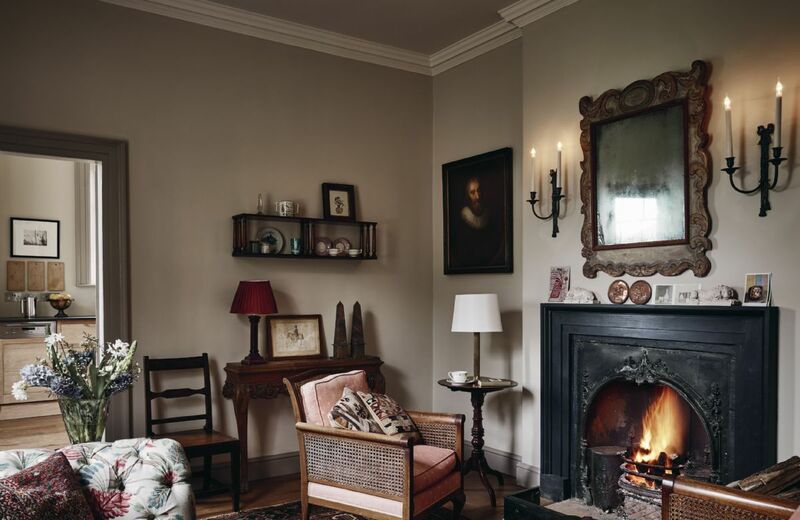 We do say on the instructions "PLEASE NOTE: It is recommended that during the winter months guests bring a torch". Also, as we said, the owner is always available to help and is the property contact with her number in the arrival guide which is sent 5 days before a visit. There are actually two brand new frying pans and three brand new saucepans in a kitchen cupboard - I am sorry you missed these. The wok is, of course, for stir frys. Very quiet. Good location for visiting elsewhere. A couple of minor quibbles with equipment. See comments in section 1. A very welcoming cottage in a pleasant setting. Good set up, v pleasant location, well presented. Lovely gardens. Communal area/entrance porch of the main coded entrance to all properties could have been tended to/kept nicer. Was full of leaves etc from day of arrival thru departure. Lovely cottage. Great garden. Perfect for the warmer weather. Fabulous cottage. Very well equipped. Idyllic setting. Cottage was basically fine but the services (particularly the hot water) were poor. Worse were the kitchen utensils. Coffee machine was dirty and full of used ground coffee, frying pan and saucepans (some lids of which were missing) badly scored, only one shelf in oven and no tin foil I could go on. Not up the RR standards. Fantastic cottage. Would definitely recommend. Lovely location, no problems except for no milk in welcome pack which we would have expected and didn't realise until the next morning when we went to use some. Completely average, or even below! The kitchen was not really clean and most of the crockery and cutlery had to be washed before use. The dishwasher had water in the bottom which had been there some time. Not all of the doors locked leaving the property unsecured. Many of the lights in the sitting area were not working. 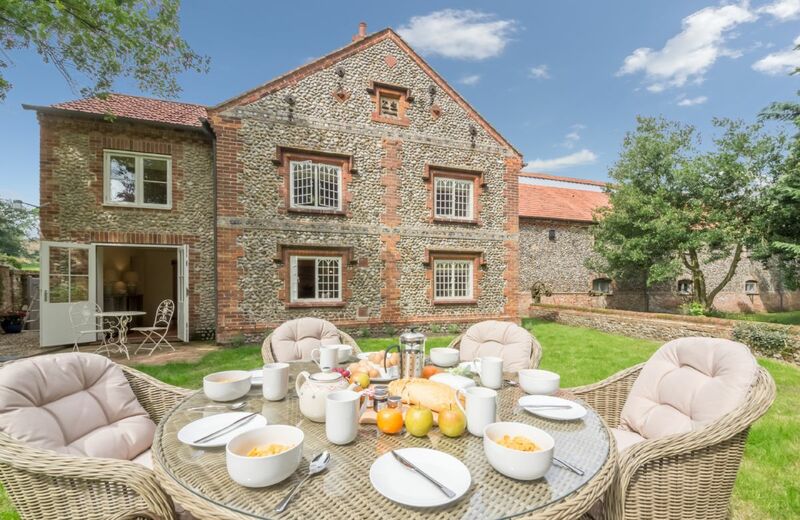 Apple Tree Cottage is in the grounds of The Old Vicarage near the medieval village of Little Walsingham. 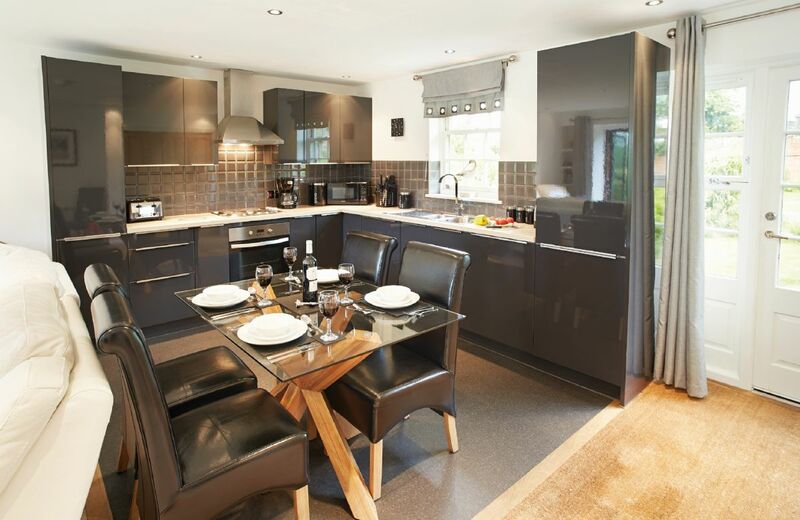 It features an open plan kitchen/dining/ sitting room with french doors onto patio area. 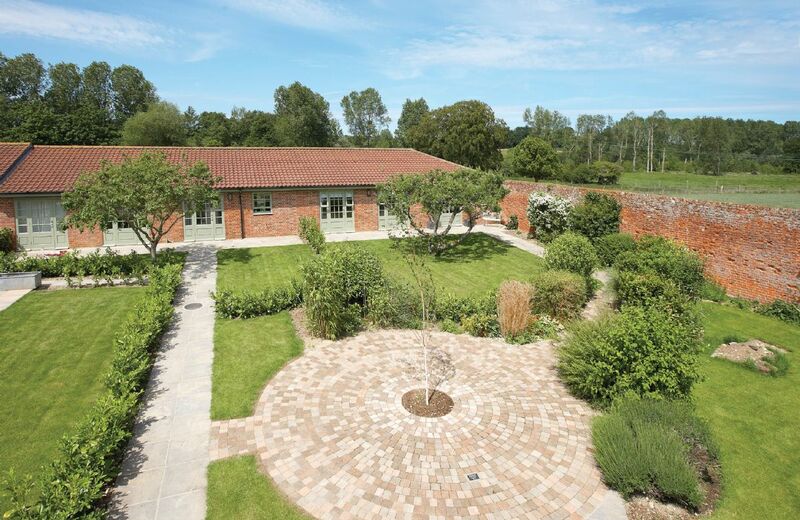 The rear garden gives wonderful countryside views. For holidays taken between 23 April 2019 And 25 April 2019 Minimum of 3 nights booking. For holidays taken between 1 May 2019 And 18 May 2019 Minimum of 3 nights booking. Beech End was beautifully appointed, clean and comfortable with a perfect welcome pack and a pretty garden. 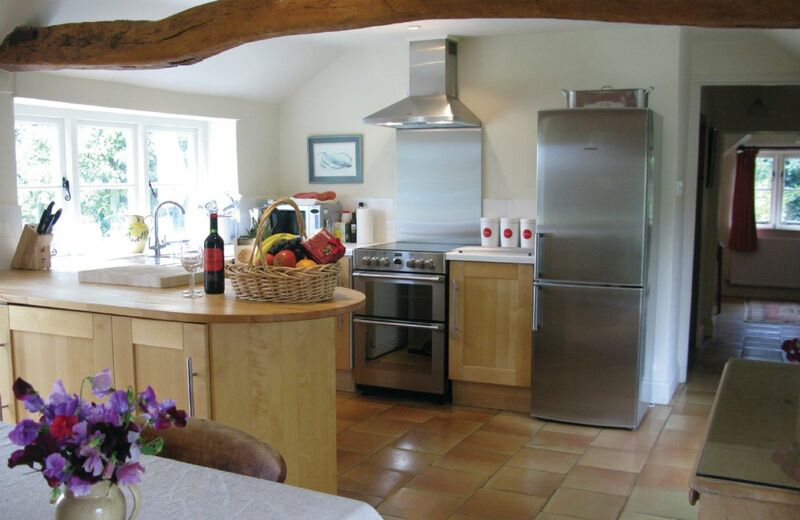 We have stayed in many holiday cottages and this one was especially well maintained and homely. Ideal location for exploring that part of Norfolk too. 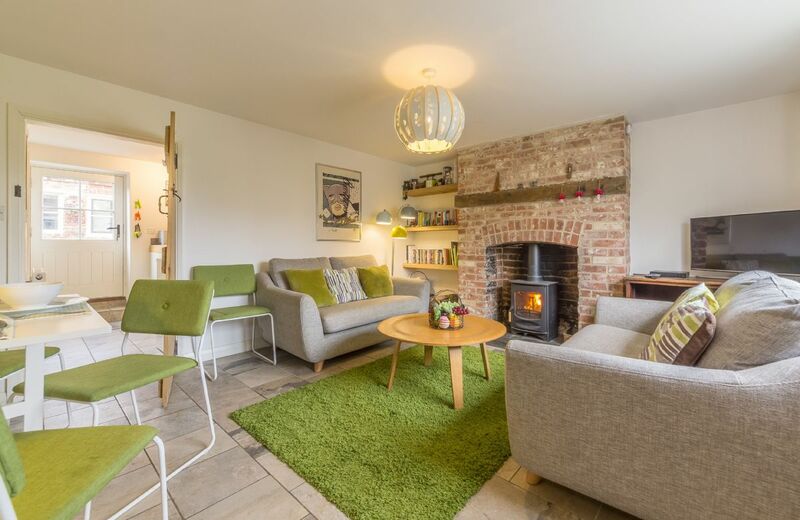 Beech End is a charming,comfortable and beautifully furnished cottage with a pretty garden in which to relax and snooze! 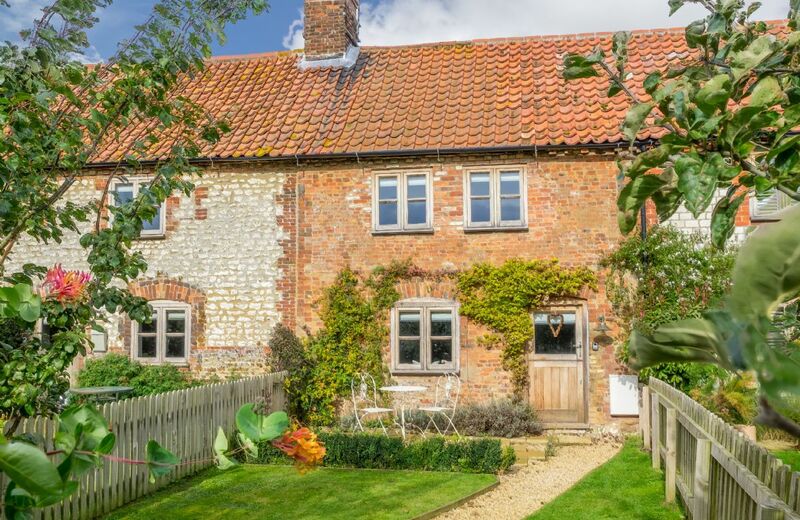 All set in a quiet, rural village not far from Holt and beautiful sandy beaches such as Holkham and Wells next-the-Sea. Wonderful Housekeepers Steve & Carolyn and a great “Arrival Hamper” all contributed to our holiday. The location excellent, convenient for car parking, well presented and maintained cottage. We enjoyed ourselves and so did the dog. 4. Some items in "welcome hamper" not the quality/quantity usually expected from RR, eg cheese and wine. Hamper on the frugal side in comparison with previous experiences. Thank you for your feedback, we are delighted that you enjoyed your stay at our lovely property Beech End. I am sorry that you weren't happy with the hamper provided. The owner had hoped that local asparagus and strawberries and cream would be a special addition and that you would enjoy the wine from a local wine merchant. I am sorry that there a little misunderstanding with the housekeeper. beautiful and very comfortable cottage in a peaceful and relaxing area. this is the second time i have stayed there and will certainly be returning. Cottage was beautiful and clean. Everything we needed was there. Great location. Thank you for your feedback. We do ask all our dog owners to help us keep the bedrooms and soft furnishings pet free for the comfort of other guests and I am so sorry that you were put on edge by our notice. There is actually a stair gate by the stairs at Beech End to help with this. Everything was perfect - what more can I say? The housekeeper is very kind and helpful. The house was spotlessly clean and extremely comfortable. I wanted for nothing. The cottage is lovely, it was our second visit! The area is outstanding and of course the cottage accepts dogs. The only issue we had was that there were all sorts of notices by the housekeepers about cleaning, leaving it as found etc. but there wasn't any bathroom cleaner(and I do like to clean the bath when I have used it!) nothing to clean the kitchen sink and only 1 spare bin liner, not a lot for 6 nights! I don't think that you immediately want to rush off to Budgens when you are on a short break. I feel that Cif and some bath cleaner should be supplied also an adequate amount of bin bags. We have been travelling with Rural Retreats for about 28 years and have never come across this before. Just a small point but it was irritating. Having said all that we will definitely visit again. The moment we walked in to Beech End we felt at home. It has such a lovely feeling.. 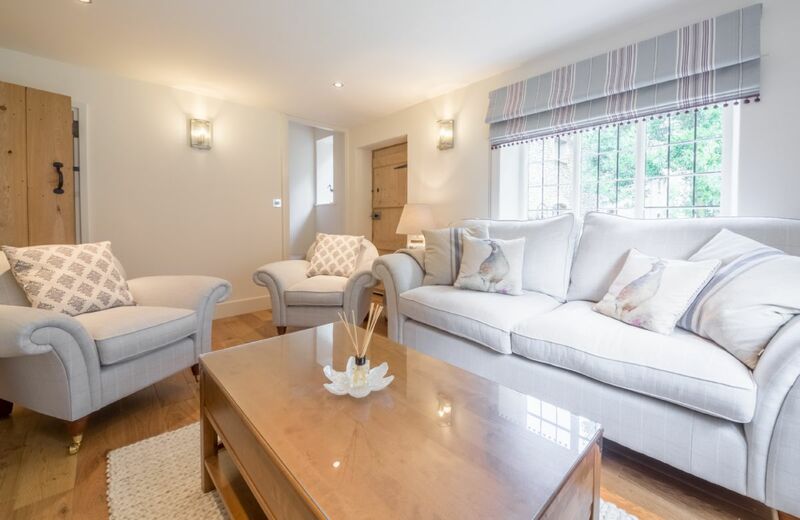 It is the nicest Cottage we have ever stayed in and has been so thoughtfully equipped and arranged with everything one could want or need, all of the best quality and taste. It is spotlessly clean and has the most comfortable beds and sofas we have ever experienced. Steve & Carolyn were very helpful, friendly and informative.. The cottage is in a quiet and peaceful location and we really enjoyed the sightings of the owl, bats, squirrels, numerous Bluetits, Woodpecker, pheasant etc. most from the comfort of the bedroom window. 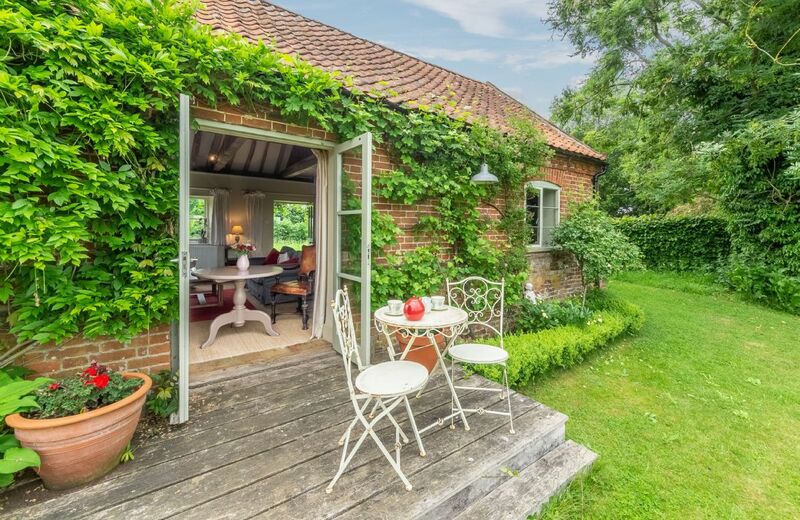 This cottage is bliss and perfect in every way. Wow. What a wonderful review for Beech End. I am delighted that you had such a lovely stay. A beautiful cozy cottage in a fantastic location. We had a fabulous time and would definitely book again. The reviews were right.....it was a lovely cottage. Just one small thing missing was a small tray to carry tea or coffee plus biscuits into the lounge or out into the garden. I'm glad that you enjoyed your stay at Beech End. I'm sorry that you didn't find the tea tray. It is always stored in the cupboard next to the oven. One of the best we have stayed in, seemed to have just about everything one could possibly need, including the hot water bottles! Just not the weather this time!! Beautiful garden to sit out in with lovely smelling old fashioned roses - one of the nicest cottage gardens we have stayed in. Feedback for property owners we felt that the upholstery of the sofas could do with a professional clean. Because they are light colours it shows up. Apart from that a delightful well-appointed property. Thank you for letting us have your comments following your recent stay and we were delighted to learn how much you enjoyed the property and the garden. Thank you also for your comments on the upholstery. The owner has confirmed that a professional clean takes place annually and that the marks referred to are fading caused by bright sunlight pouring onto them through the windows and so therefore, cannot be removed.We do hope to welcome you back soon. This holiday cottage was the best we have ever stayed at,the welcome hamper catered for all of our needs and was first class,the house keeping staff were excellent and the standard of furnishings and maintenance exceptional all capped off with a beautiful garden.We stay a lot in Suffolk and wish Rural Retreats had cottages on the Coast their . Well done Rural Retreats and many thanks.Maureen & Francis Wood & Bonnie the Dog. One of the best RR cottages we have stayed in . 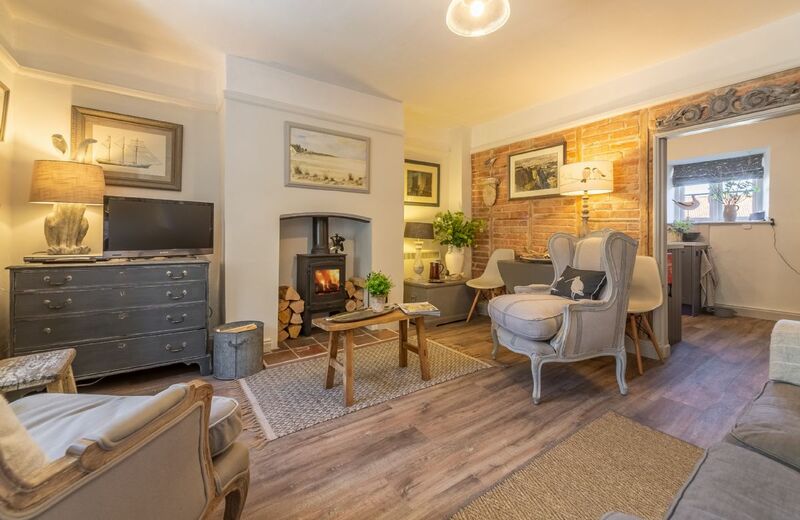 This attractive, double fronted Norfolk cottage has been renovated to retain a wealth of original features, whilst being adapted for modern living. 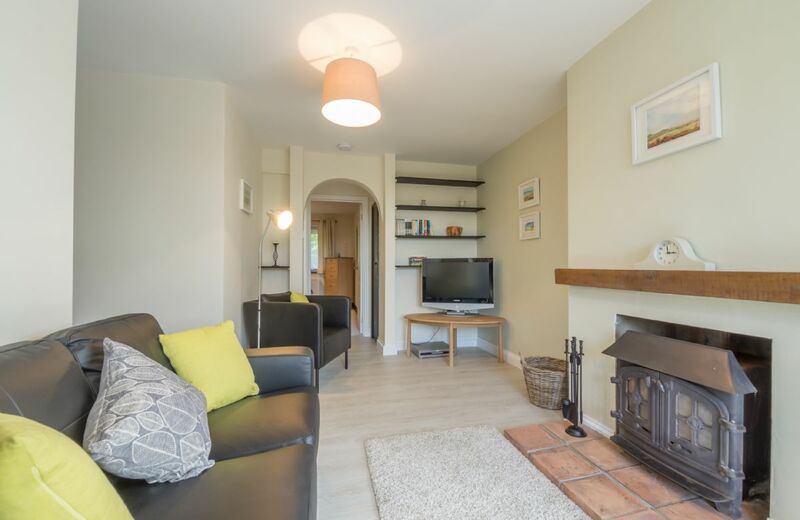 Suitable for families, the property has two bedrooms, a bathroom and a separate shower room along with a fully enclosed lawned garden whilst being only a 15 minute drive to the nearest sandy beach. 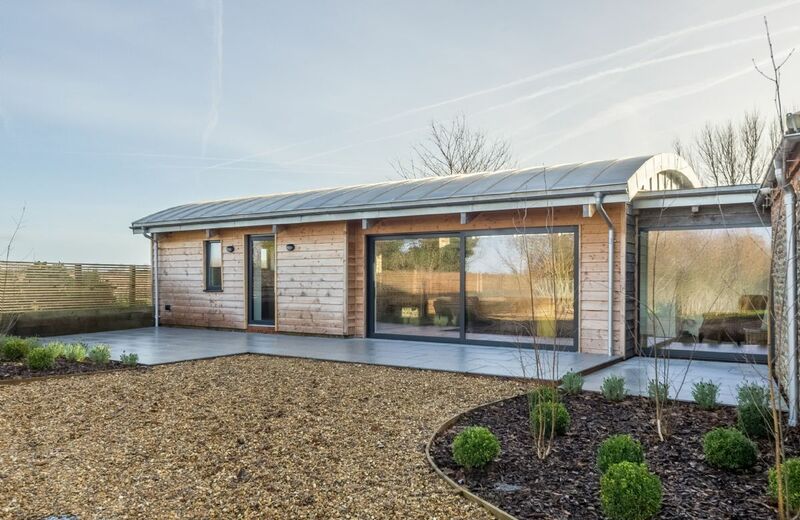 This barn conversion has been beautifully done as was the adjacent barn we stayed in last year. Nothing negative to report. A beautiful hamper awaits, and the owner bakes a cake for you. Just the right distance to walk to the beach and the pub on the sea front does a great Sunday roast. Owners are on hand if you need them but never interfere. Would thoroughly recommend. Beautiful holiday home with every little detail thought out so well. Would definitely recommend! Wonderful, calm, spacious and peaceful place to stay. Lovely touches like the delicious cake and foodie treats on our arrival. Fantastic places to visit- Blickling Estate, canoeing on the Broads, seal watching at Waxham. We had a lovely holiday. Thank you. 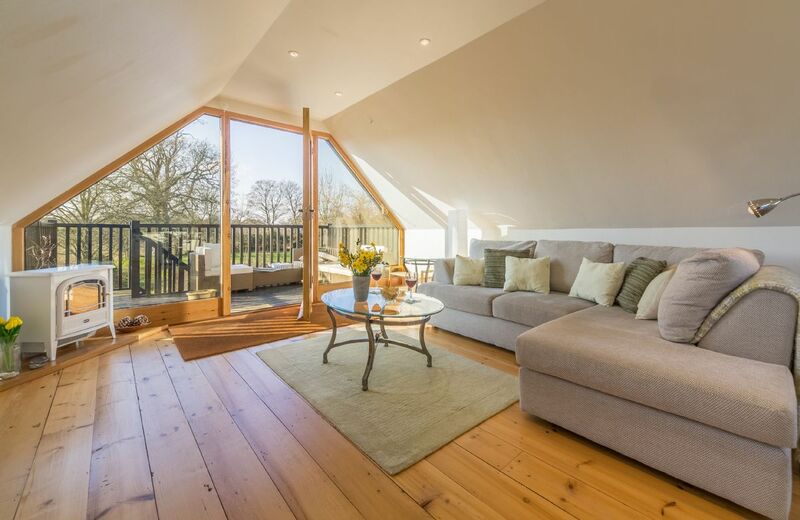 We had an excellent stay,the Barn was converted and fitted out to an excellent standard,it is in a lovely quiet location close to the coast and Broads.Perfect! Superb barn in a lovely quiet location. Ideal for travelling around Norfolk and the beautiful countryside. The owner was lovely and very helpful. Would definitely recommen! The house was excellent and really well appointed. The welcome was also exceptional. Our only comlaint was that the in house entertainment was not set up for easy use. But that is a minor quibble. 4.75 would be a more accurate score. 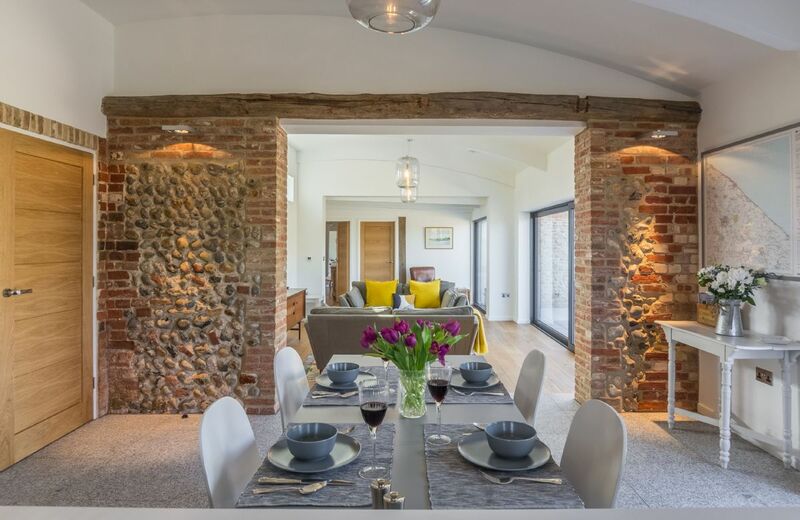 This contemporary conversion of a 200 year old brick and flint barn situated in the small village of Ridlington is one mile from the nearest beach at Walcott. 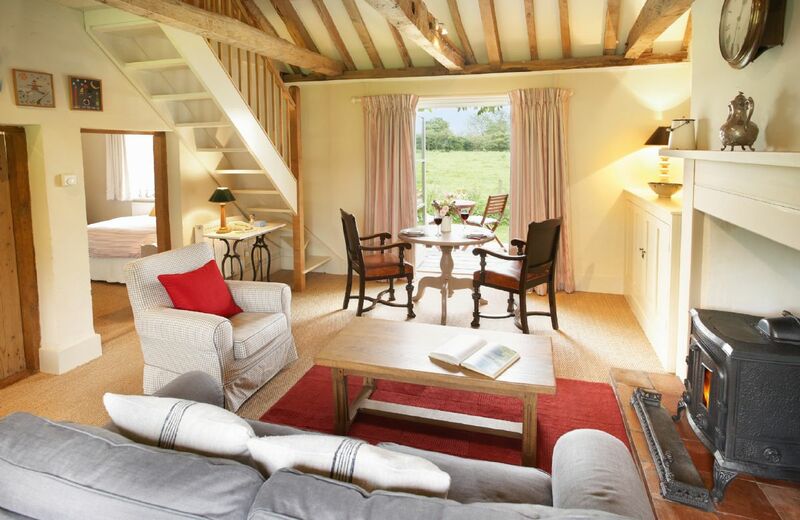 Big Sky Barn is suitable for families or couples seeking to escape to the beautiful North Norfolk coast. 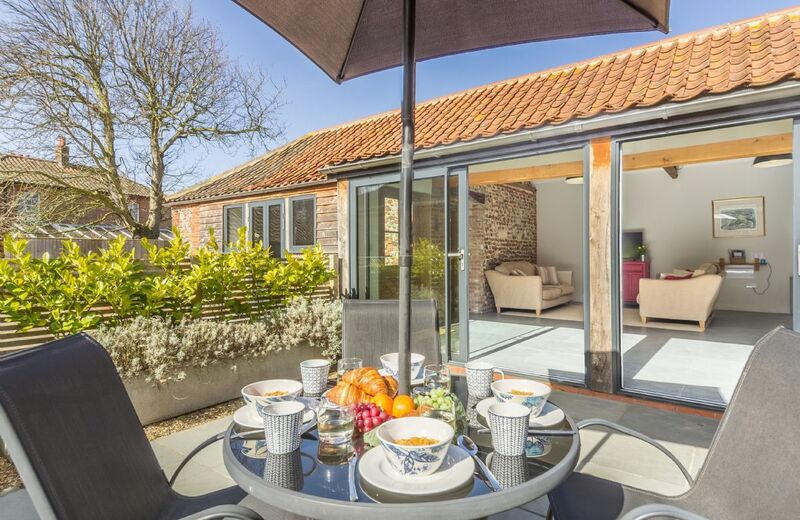 In a peaceful village location near to the coastal towns of Wells next the Sea and Blakeney, Bluebell Cottage is a cosy property suitable for all times of the year. 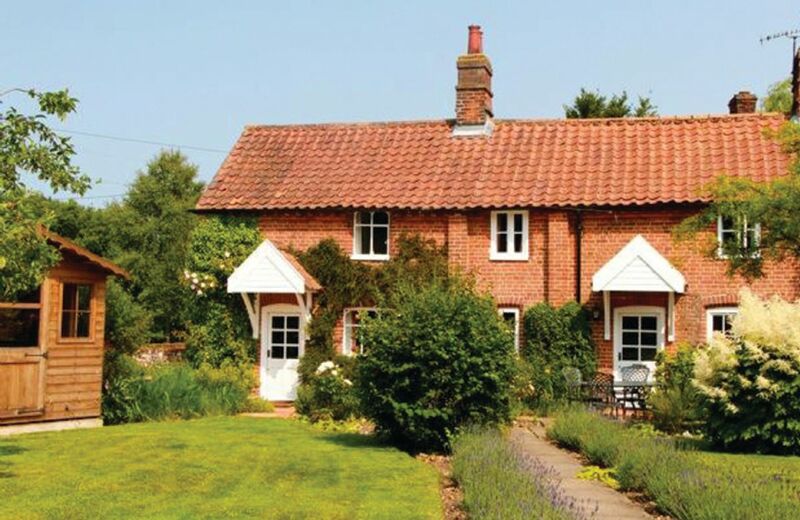 If you like walking, cycling, nature and bird watching you will love Bluebell Cottage. Great cottage, lovely town, helpful neighbours. 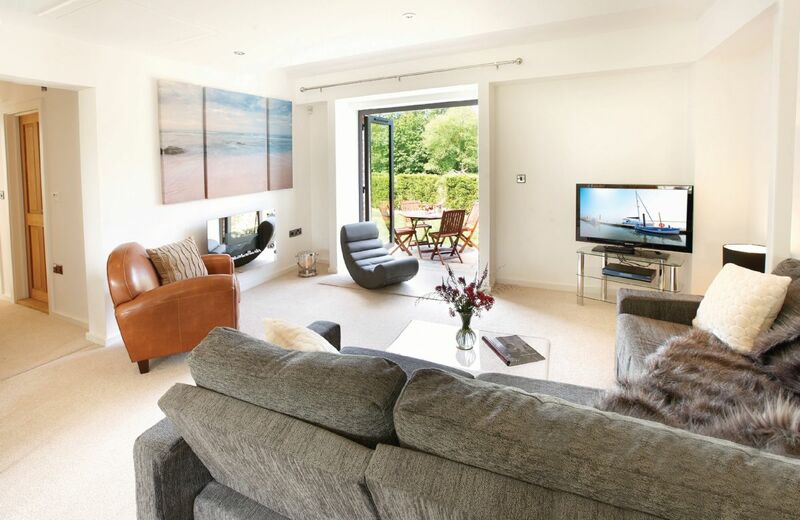 Clean, comfortable, beautifully renovated to a very high standard. Living room a bit dark (but then it is a cottage with small windows!) but could be brightened with light soft furnishings and furniture. Bedrooms to die for, totally modern kitchen/dining with a glass roof that lets the sun pour through on a sunny day. Sweet little patio garden ideal for a glass of wine at the end of the day. 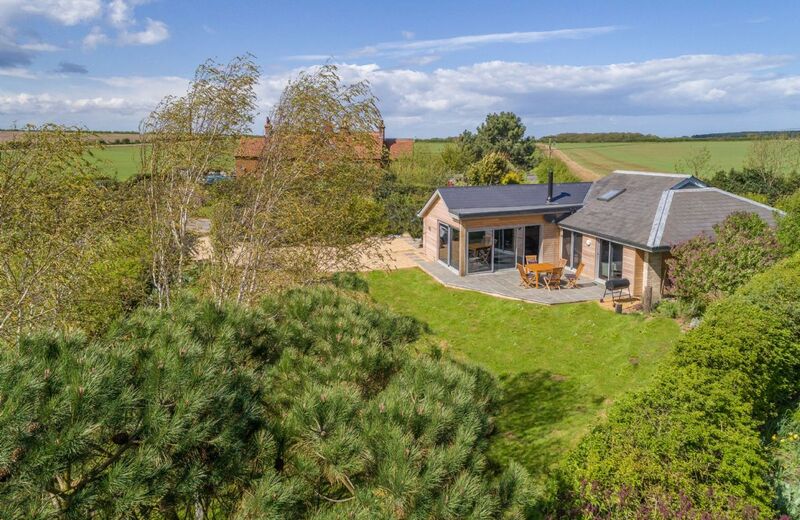 Also a great location for visiting lots of places around north Norfolk and equipped with everything you could possibly need! 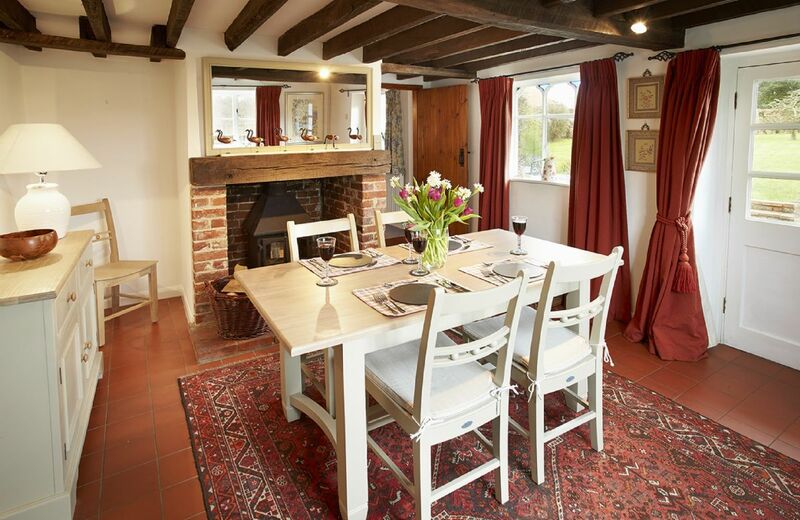 Fantastic booking service and excellent accommodation - would highly recommend this cottage to friends and family. 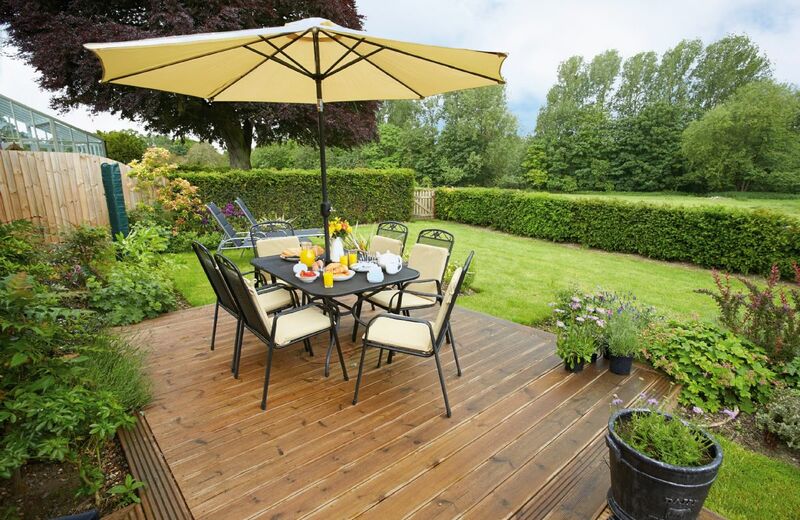 Lovely little cottage with stunning patio garden, in a large friendly village, with lots to do in the local area. 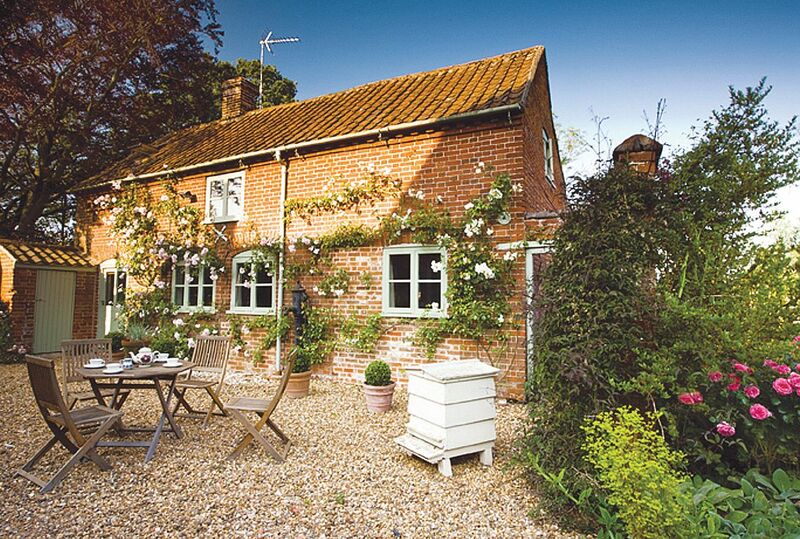 Very comfortable and attractive cottage in a perfect location with a pretty courtyard garden. 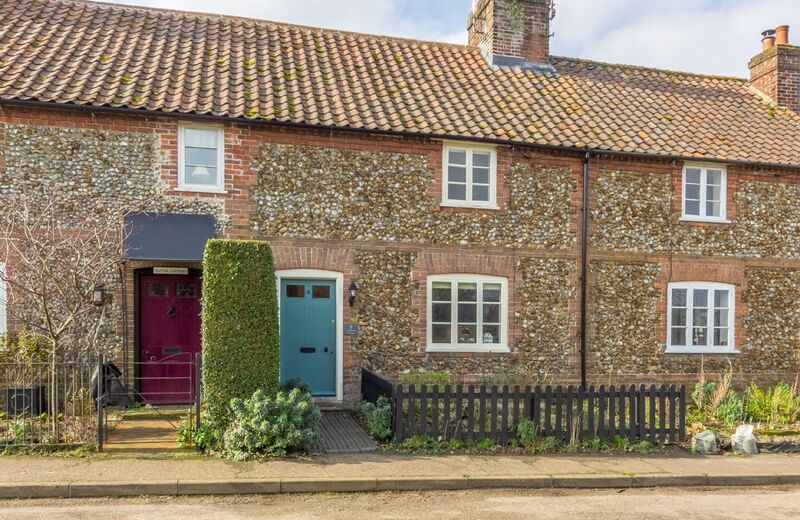 Aylsham is a lovely small market town with plenty of walks and cycle paths on the doorstep. Would not hesitate to stay there again. 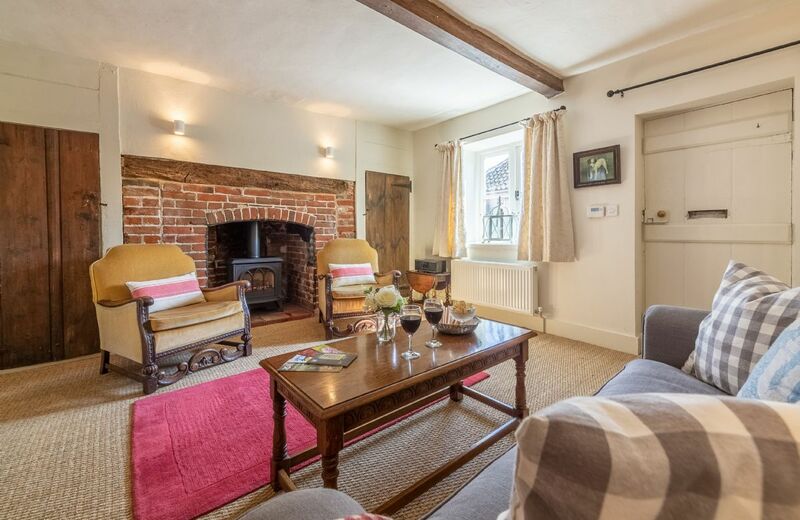 Lovely cottage in a great location - perfect break! 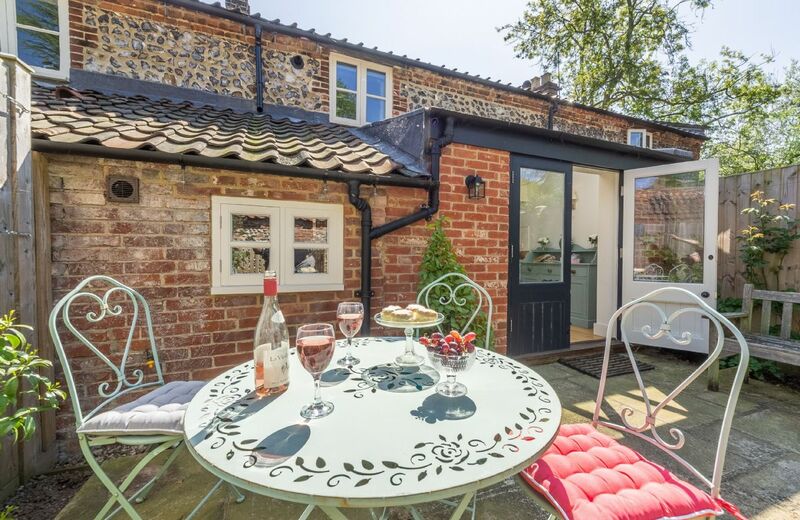 Brimming with character, Bridge Cottage is a delightful, former Mill Worker’s cottage with a pretty courtyard garden, located in one of the oldest parts of the market town of Aylsham, close to the North Norfolk coast and the Norfolk Broads. 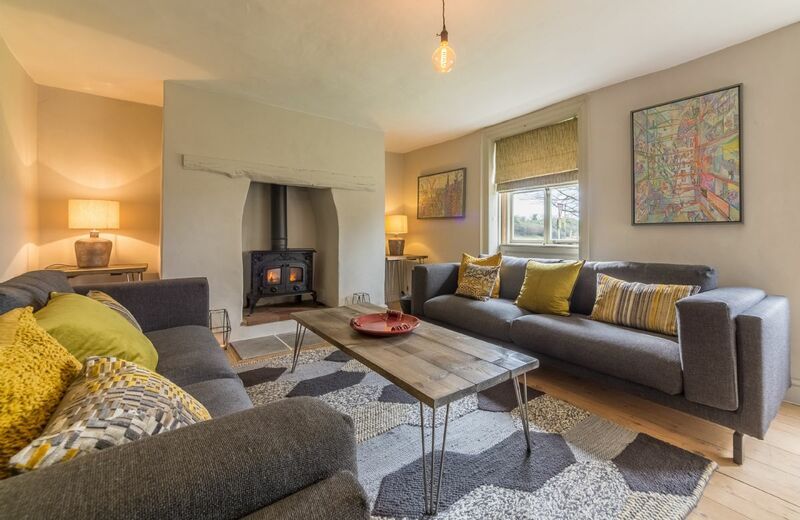 Stockman’s Cottage offers peace and tranquillity with stunning interiors and attention to detail, in a truly lovely rural setting. 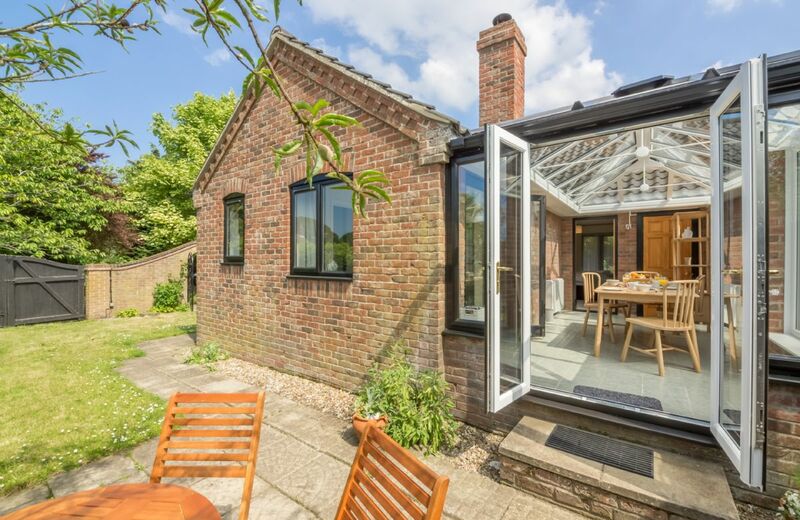 On the outskirts of the village of Foulsham, it is close to Burnham Market, Holt, Norwich and just 25 minutes from the coast. 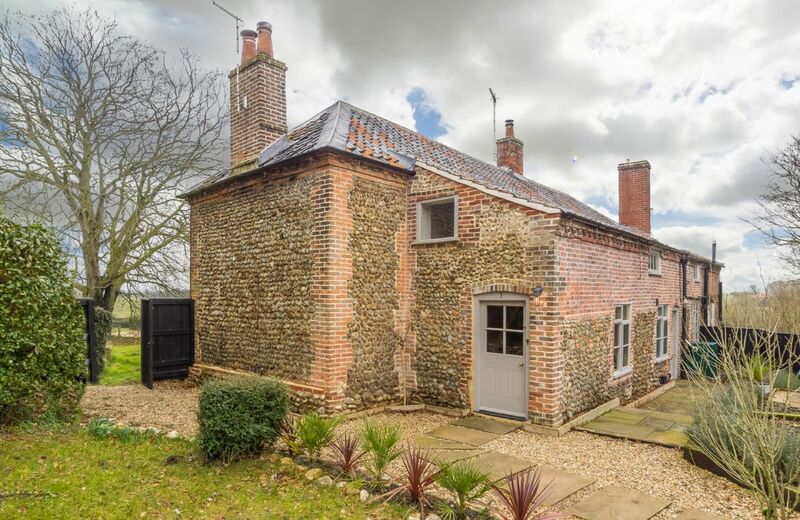 Situated in an idyllic location on the banks of the River Glaven in Letheringsett is Glaven Cottage, dating from 1870. 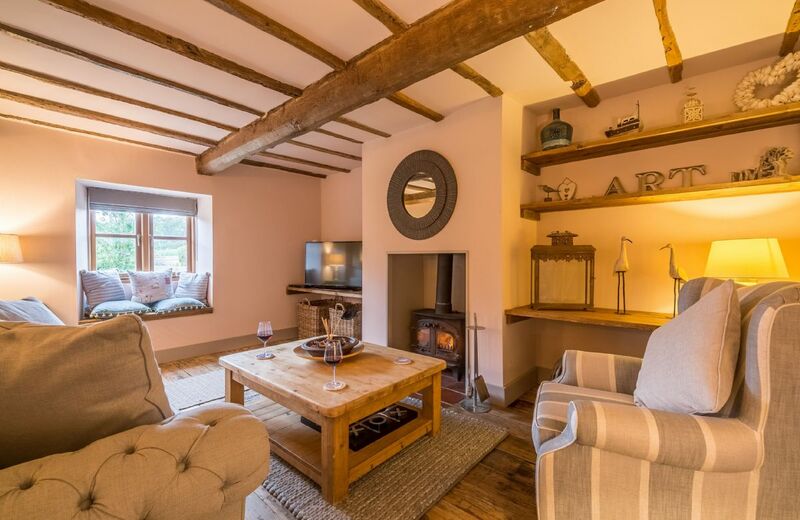 The cottage effortlessly blends character with contemporary flair and provides a wonderfully relaxing retreat for a couple, friends or a family whilst being a short walk from the local pub, The Kings Head. 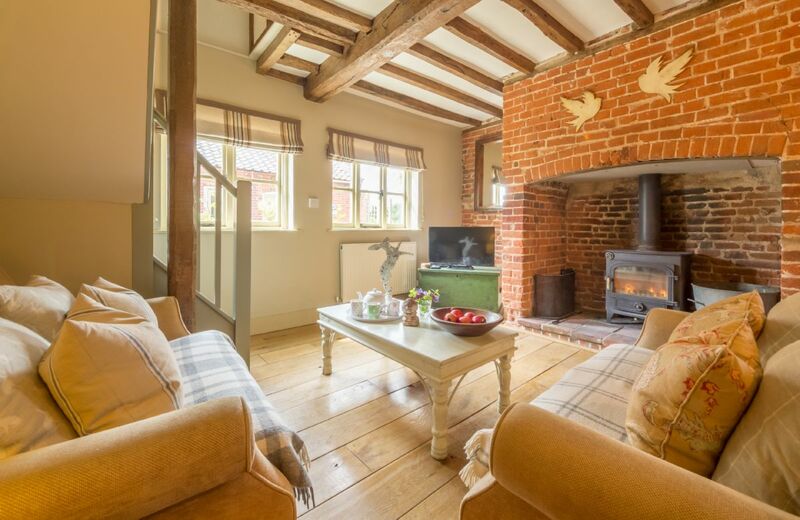 Holt can also be reached within a 15-minute brisk walk before returning to the cosy cottage complemented by the wood burning stove. 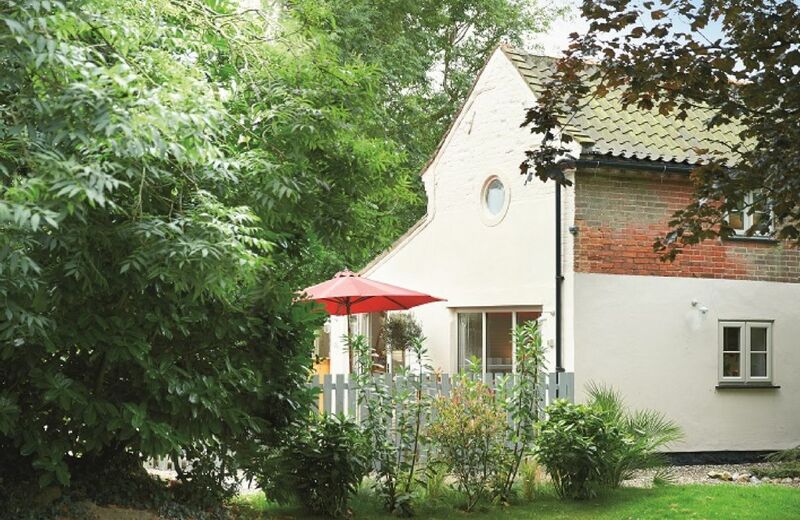 Oystercatcher Cottage is in the grounds of The Old Vicarage near the medieval village of Little Walsingham. 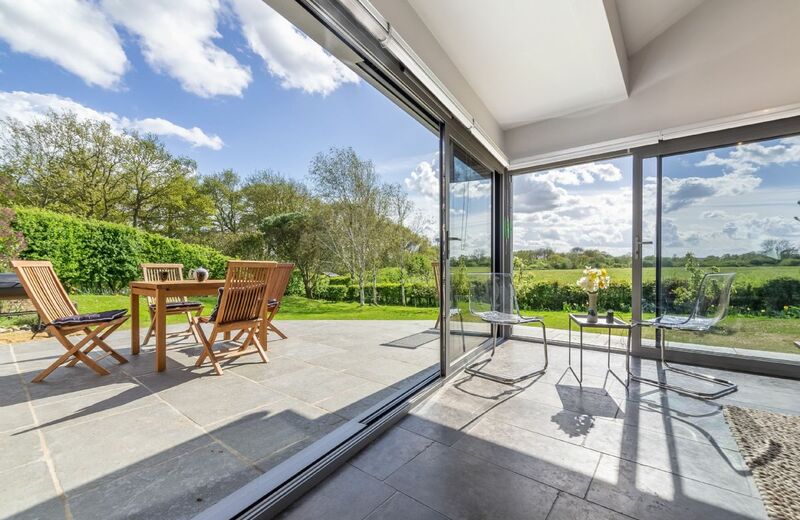 This beautiful single storey property has its own enclosed garden with outdoor dining area and access to approximately two and a half acres of grounds.